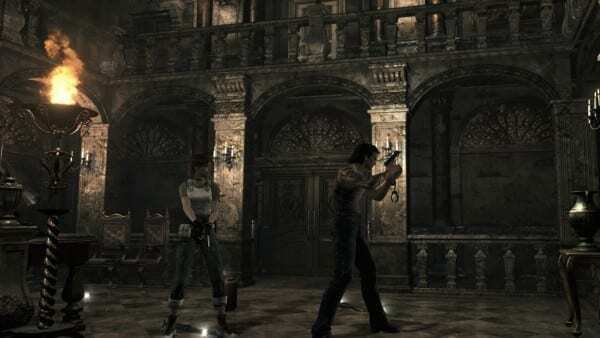 Even if you’ve played all of the classic Resident Evil games, Resident Evil 0 may still throw you for a loop when you find out that there are no magical inventory boxes in this one. That means you’ll have to rely on your item management skills and make sure you always have space for whatever key items you might find later on, and also be sure not to pick up too many healing items that you may not need right away. However, you should also be aware that Resident Evil 0 does allow you to leave items on the ground. If you go into your menu, you’ll realize that there’s no ‘Discard’ option for items. Instead, you’ll be able to leave items on the ground and come back to pick them up later. So if you leave all your healing items in the save room, think of the room itself as a giant inventory box. However, do note that each room has an item limit too.